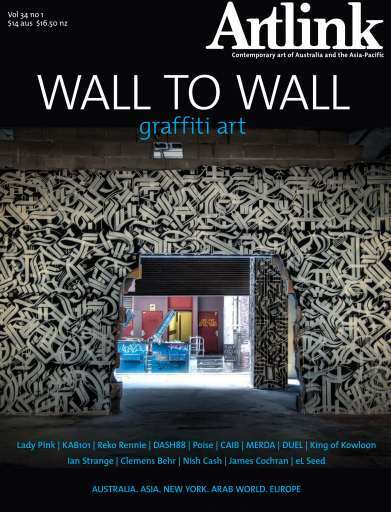 Co-guest editors Annemarie Kohn and Charity Bramwell What does the term Graffiti Art mean to you? The issue covers the birth of this art movement and subcultural genre in New York four decades ago and its current role within the constantly shifting politics of public space in cities across the planet including Asia and the Arab world where the richness of calligraphy-based graffiti art and its influences on the art form in other countries adds a new dimension. Interviews and stories of many of the key artists from the past as well as documentation from cities around Australia add a personal note. 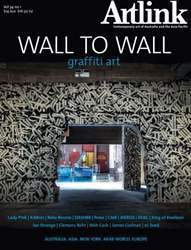 The commodification of graffiti across many fronts including the art market, tourism and city agendas, as well as the ongoing arguments about vandalism are addressed. We launch a new section in this issue titled XQUISITION - a space for outspoken commentators to tackle some contentious issues of today.